Properties in Baker Tower average 4.7 out of 5 stars. Property 1: 1928 Cottage-Just Steps To Downtown and Amphitheater! $10 Off Ski Lift Tickets! Turn Of The Century Charm - Walk to Town DISCOUNTS FOR SKIING? Property 5: Turn Of The Century Charm - Walk to Town DISCOUNTS FOR SKIING? "Scenic Serenity" Dynamic Rural Setting With Breathtaking Mountain Views! Property 6: "Scenic Serenity" Dynamic Rural Setting With Breathtaking Mountain Views! The River House - Quiet Neighborhood, Close To Everything! Property 9: The River House - Quiet Neighborhood, Close To Everything! Close to ski area, hiking, with a gourmet kitchen and mountain view. Property 11: Close to ski area, hiking, with a gourmet kitchen and mountain view. Property 15: Family home on 320-acre ranch in Blue Mountains; enjoy our peace and quiet. State-of-the-Art Home! Great for large groups & entertaining! Property 22: State-of-the-Art Home! Great for large groups & entertaining! SKI ANTHONY LAKES. ELK AND WILDLIFE VIEWING. WINTER ACTIVITIES. BIKING. Property 30: SKI ANTHONY LAKES. ELK AND WILDLIFE VIEWING. WINTER ACTIVITIES. BIKING. BEAUTIFUL LODGE STYLE HOME. LARGE STUDIO WITH KING BED AND HIDE A BED. Property 31: BEAUTIFUL LODGE STYLE HOME. LARGE STUDIO WITH KING BED AND HIDE A BED. 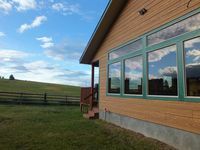 Beautiful lodge style home with terrific views of Elkhorn and Wallowa mountains. 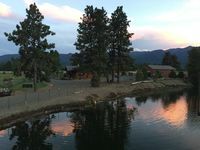 Property 32: Beautiful lodge style home with terrific views of Elkhorn and Wallowa mountains. The house was so nice, spacious and in a picturesque location! We loved how secluded it was. Great stay-loved it! Just needs a new king bed.